- Above Lunchroom Downtown at number 31 there's Edwin's Guesthouse with two rooms on the upper floors. - In the luxury NH Hotel Carlton alongside Vijzelstraat you can sleep almost right above Reguliersdwarsstraat, as this hotel is partly build above the street! It's also gay friendly. 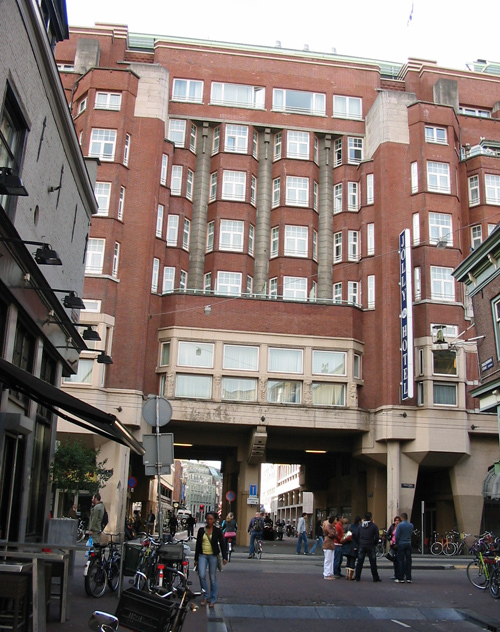 Cheaper accommodations can be found in one of the group hotels (Dutch: groepshotel) around the city, like Generator, Clink Noord, Meininger Amstel, Meininger City West and WOW Amsterdam. Finally, Amsterdam also has some youth hostels (Dutch: jeugdherberg), like Stayokay Stadsdoelen, Stayokay Vondelpark and Stayokay Zeeburg.